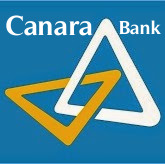 The Canara Bank has published the Online Exam Call Letters for its Probationary Officers (PO) Recruitment 2018. The bank has invited online applications from eligible aspirants for admissions to the specially designed One-year training course leading to Post Graduate Diploma in Banking and Finance (PGDBF) either through Manipal Global Education Services Pvt Ltd., Bengaluru or NITTE Education International Pvt Ltd., Mangaluru from 23rd October 2018 to 13th November 2018. Check below for more details.